New York: Pocket Books. Good with no dust jacket. 1960. 1st Printing. Pocket PB. Used paperback, . Tulsa, Oklahoma: Amer. Assc. Of Petroleum Geo. Good with no dust jacket. 1971. Paperback. Owner Stamp . Bantam Books, Inc.. Very Good. 1983. Hardcover. 0553350021 . 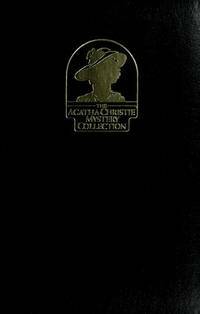 Faux leather w/gilt lettering/&profle decoration; The Agatha Christie Mystery Collection; 0.5 x 2.8 x 2.3 Inches; 207 pages . Bantam Books, Inc.. Good with no dust jacket. 1983. Hardcover. 0553350021 . Blue faux leather w/gilded lettering /deco ; The Agatha Christie Mystery Collection; 2.80 X 2.30 X 0.50 inches; 207 pages . American College of Psychiatrists. Good with no dust jacket. 1979. hardback. New York: Ace Books. Very Good with no dust jacket. 1999. Pocket paperba. Columbia, South Carolina: Benedict College Press. Fair with no dust jacket. 1954. Paperback. (Slight Cover Wear) Owner Inscription . American Society for Testing and Materials. Very Good. 1950. Hardcover. 8vo 8" - 9" tall . 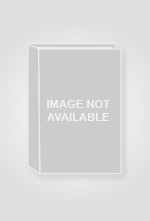 American Society for Testing Materials. Very Good. 1947. Hardcover. 8vo 8" - 9" tall . American Society for Testing Materials. Good. 1947. Hardcover. 8vo 8" - 9" tall . American Society for Testing Materials. Very Good. 1946. Hardcover. 8vo 8" - 9" tall . JBG Publishing. Good with no dust jacket. 1968. Paperback. 6.60 X 4.10 X 0.30 inches . Chicago : The Open Court Publishing Co.. Good with no dust jacket. 1963. Paperback. New York: U. S. Government Printing. Good with no dust jacket. 1945. Armed Services. Pocket Pb. Armed Services Edition . Bookman's Weekly. Very Good with no dust jacket. 1998. First Edition; First Printing. Paperback. Random House Reference. Very Good. 1995. Paperback. 081292536x . 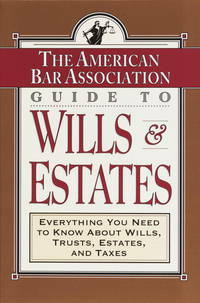 The American Bar Assoc; 0.7 x 7 x 5.5 Inches; 240 pages . New York: Random House. Very Good with no dust jacket. NO PUB DATE. Hardbound. Dodd, Mead & Company. Good in Good dust jacket. 1960. Hardcover. 8vo 8" - 9" tall . New Directions. Good with no dust jacket. 1700. Paperback. Cover wear; January 17, 1960; 7 X 5.50 X 0.50 inches . ABC's for Texans and Other Folks! Texas Pride Publications. Good with no dust jacket. 1990. Paperback. 0962474207 . 63 pages .